“The Big Chill” isn’t a perfect film — the screenplay by Kasdan and Barbara Benedek suffers from a lot of ba-dum-dum one-liners that makes the film seem more dated than Tom Berenger’s perm. But the screenplay is also very deft at suggesting the connections and the shared history between these characters — little things that suggest when they see each other, they’re looking at their old University of Michigan selves as well as their thirtysomething realities. These characters feel lived in, and you believe that their lives extended back before the start of the film and forward past the end. The soundtrack was a smash in its day, but Kasdan uses the songs so well to underscore and even comment on the on-screen action. The masterpiece, of course, is the opening funeral scene, the emotional high point of the movie, in which JoBeth Williams’ church-organ rendition of the Rolling Stones’ “You Can’t Always Get What You Want” segues into the original version as the coffin is loaded into the hearse. 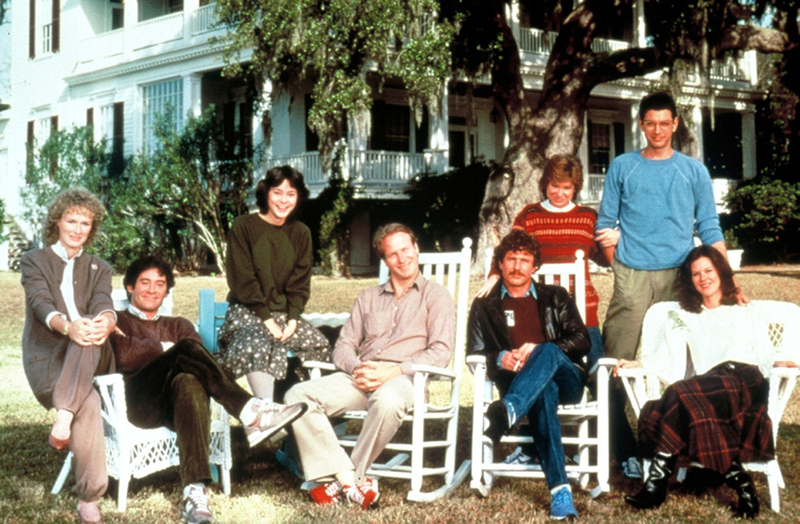 From there, “The Big Chill’ settles into a hangout movie, all conversation and little plot, as these friends (and these actors) play off each other. It’s a true ensemble film, made up of little moments and gestures and reaction shots, and the more formless it is, the better. These characters are undeniably self-involved and even prickly, but their flaws make them that much more interesting and endearing. It’s a film very much of its time, but generations since have wrestled with the same problem of holding on to their college friends and college selves into adulthood. Thank goodness Facebook came along and fixed everything. The Criterion edition includes a few deleted scenes, although not the notorious one featuring Kevin Costner as Alex, who was cut out of the film. There’s also a reunion panel from the 2013 Toronto International Film Festival featuring Kasdan, Kline, Glenn Close and others. But the thing that’s worth the price of the DVD is a fantastic essay “Girls” creator Lena Dunham wrote, “These Are Your Parents,” that almost reads like a Raymond Carver short story.